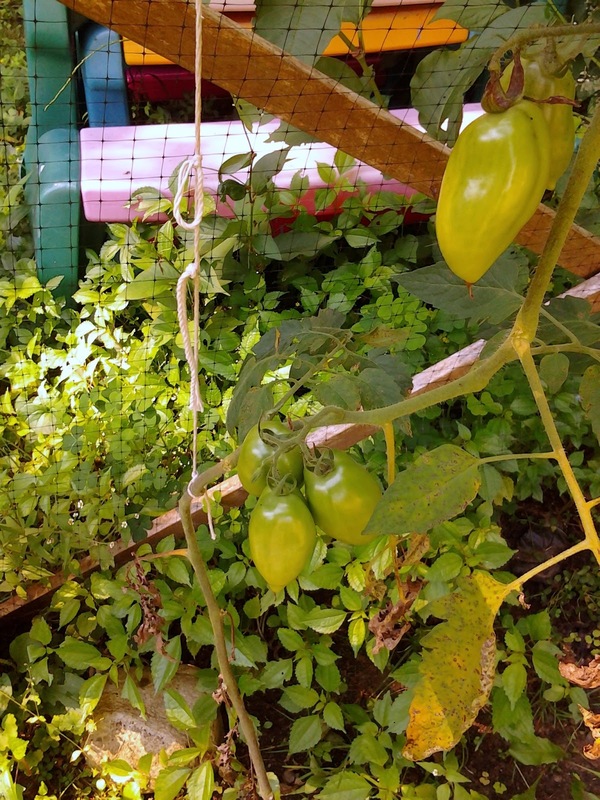 One family's adventure to grow our own food, eat local and be a little more sustainable. Cultured dairy can be an easy way to add healthy bacteria into your diet. Two of my favorite ways to do this are cultured butter and kefir cheese. Cultured foods have lots of health benefits. They are loaded with immune system boosting probiotics. Kefir can have up to 50 different strains of healthy probiotoics. Cultured foods offer enzymes that can improve digestion and the absorption of minerals. 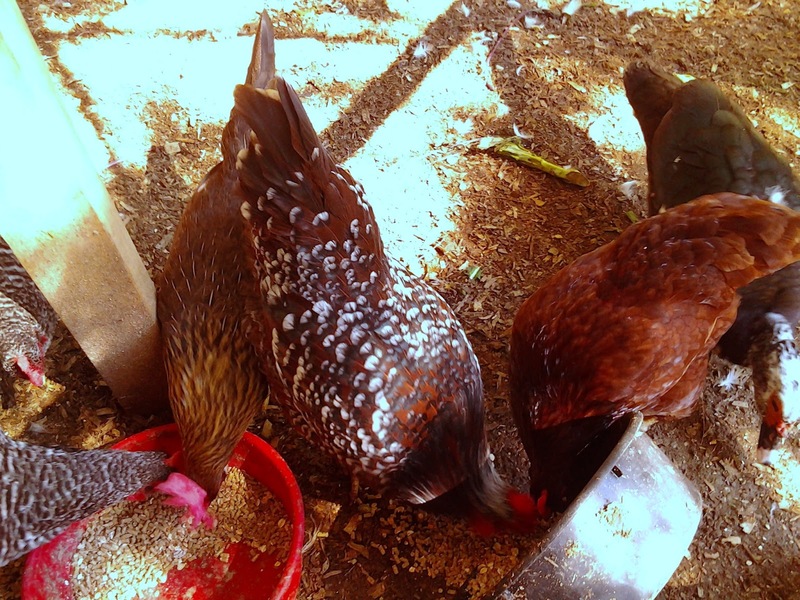 Vitamin A and C level are added to by culturing. 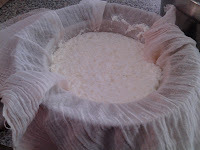 While I am culturing dairy, you can also culture soy and coconut milk to make kefir. Every other week I make butter from cream for our family. 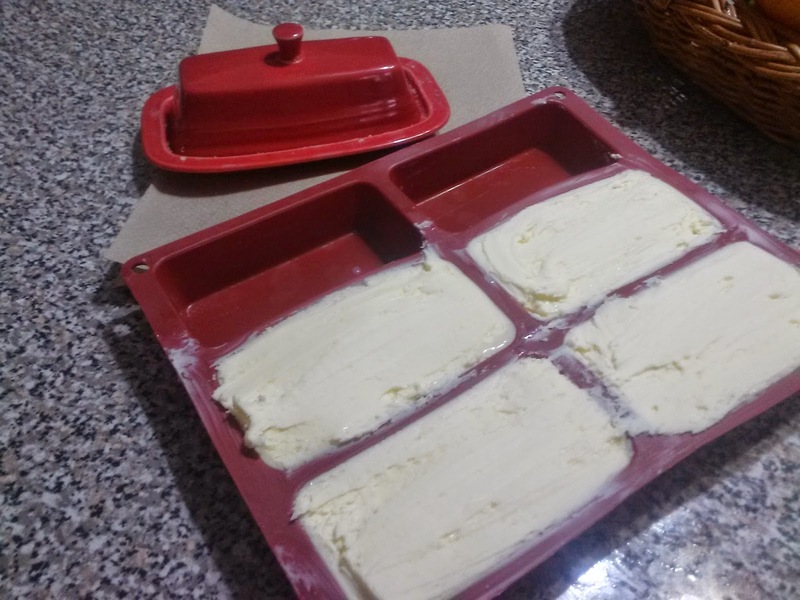 The process of making the butter is the same whether it is cultured or not. To make cultured butter simply pour room temperature heavy cream into a stainless steel bowl and add kefir starter culture and stir gently with a fork. Cover it with a plate or lid and let it sit overnight (at least 12 hours). butter and watery buttermilk. Then simply pour off all the buttermilk. You know have cultured buttermilk for cooking and baking. Then using cold water rinse off the butter, pressing out any buttermilk left in it. Rinse it well. Add salt to taster and whip it again to mix in the salt and get a creamy whipped texture. Then I place the butter into tiny loaf pans. I like these because each loaf takes 1/2 cup of butter, the same as a store bought stick of butter. This makes it easy to measure and work with and it still fits in the butter dish. 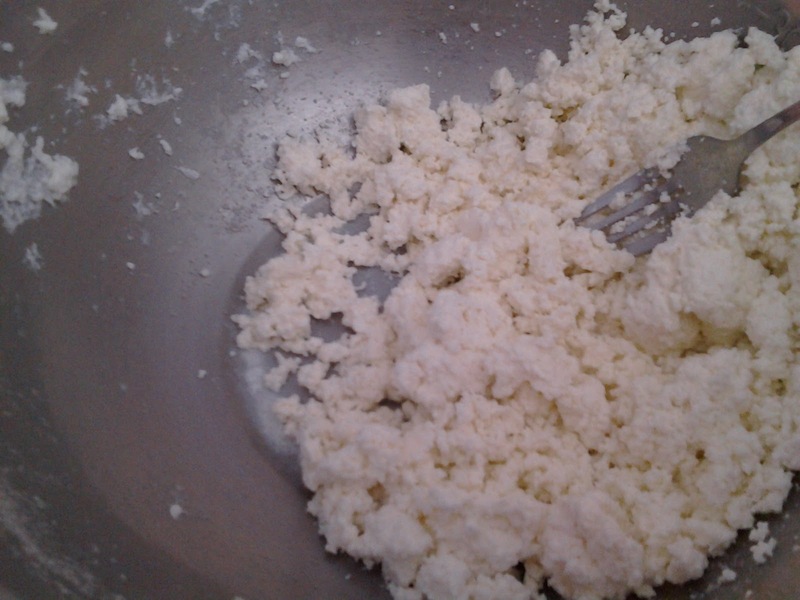 Another great way to add cultured and fermented foods to your diet is Kefir cheese. Fill a stainless steel bowl with milk (I recommend local whole milk either single pasteurized or raw. I use Mapleline Farms whole milk for all my cheese making.) 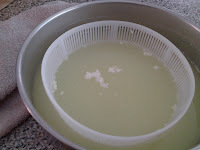 then add Kefir starter culture. Dissolve half of a vegetable rennet tablet in luke warm water and add to the milk. Stir gently with a fork, cover with a plate and let sit for 12 hours. 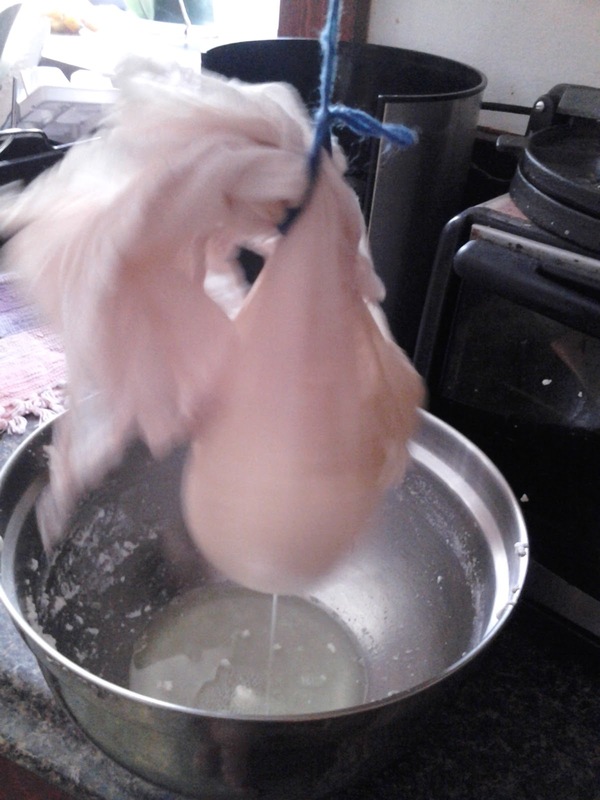 Strain through a cheese cloth. I like to add a little maple syrup to the cheese and whip it gently for just a few second but you can certainly just eat it plain. This makes a great spread for banana bread or toast. 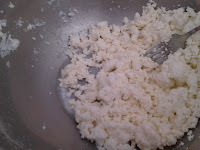 You can also use the cultures whey that you drained out of the cheese for baking, bread making or adding to smoothies. Non-local Foods: What about those avocado's I love? Even when you work hard to eat local and eat whole foods, there is usually something you really love that just doesn't grow in your local area. There is still a way to buy some of these items directly from smaller farms and farmers in the communities where these things do grow. LocalHarvest was founded in 1998, and is now the number one informational resource for the Buy Local movement and the top place on the Internet where people find information on direct marketing family farms. 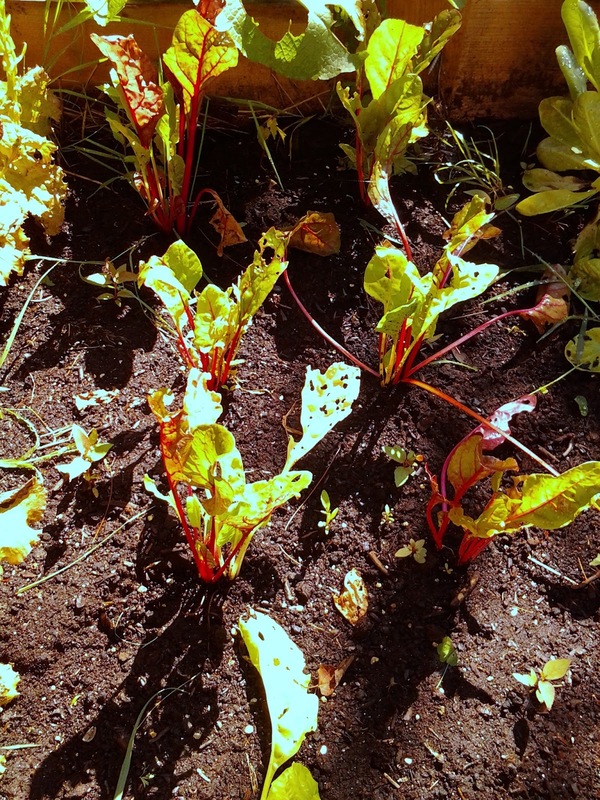 "The richness, variety, and flavor of our communities, food systems, and diets is in jeopardy. The exclusive focus on economic efficiency has brought us low prices and convenience through large supermarkets chains, agribusiness and factory farms, while taking away many other aspects of our food lives, like our personal relation with our food and with the people who produce it. More and more people are realizing this and actively working to turn the tide and to preserve a food industry based on family-owned, small scale businesses. 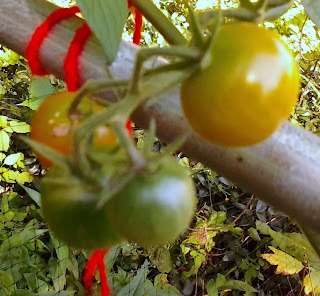 They are our best guarantee against a world of styrofoam-like long-shelf-life tomatoes and diets dictated from corporate boardrooms" (Local Harvest member). So if you live in New England, like I do, you might want avocado's, lemons or grapefruit to be part of your regular diet. The Local Harvest fruit section which will allow you to look at information about the farm the produce comes from and have it shipped directly to your door USPS. You can get to know a little about the farmers, keep more profit in the hands of small farmers and buying in bulk allows you to get a good deal. Grown in the heart of Fallbrook, California or, "The Avocado Capital of the World," our produce reflects our commitment to growing the finest and tastiest avocados. 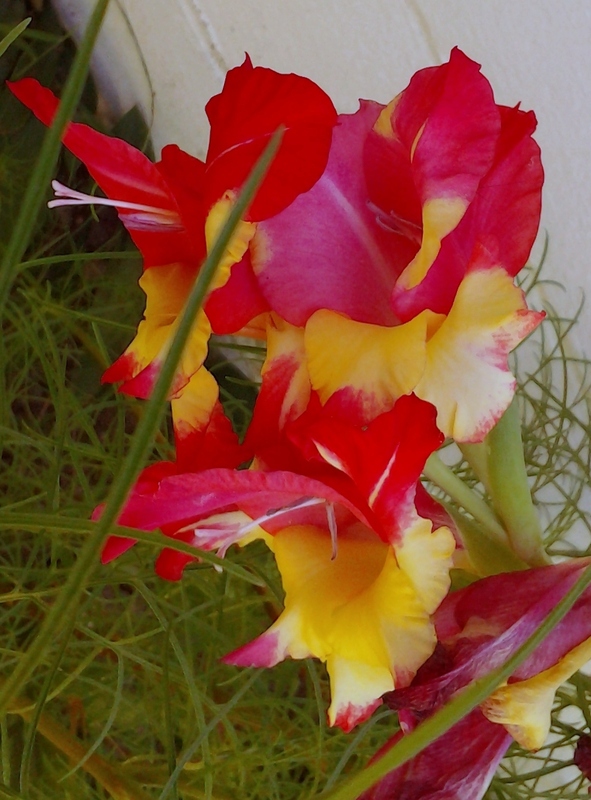 In addition to avocados, we also grow Tropical Dragon Fruit (Magenta), which is in season from mid-summer to late fall. Here at Pedro's Ranch, we dedicate ourselves to growing organic produce so that our consumers can feel the benefits of eating healthy. We take pride in both our fruits and our customers, and that is why we do our best to produce the highest quality produce. For all of our farmers' markets, please visit our website. The Ecologist: Fair Trade Bananas? What to Can? What to Freeze? What to Store? What to Grow? What to Dry? 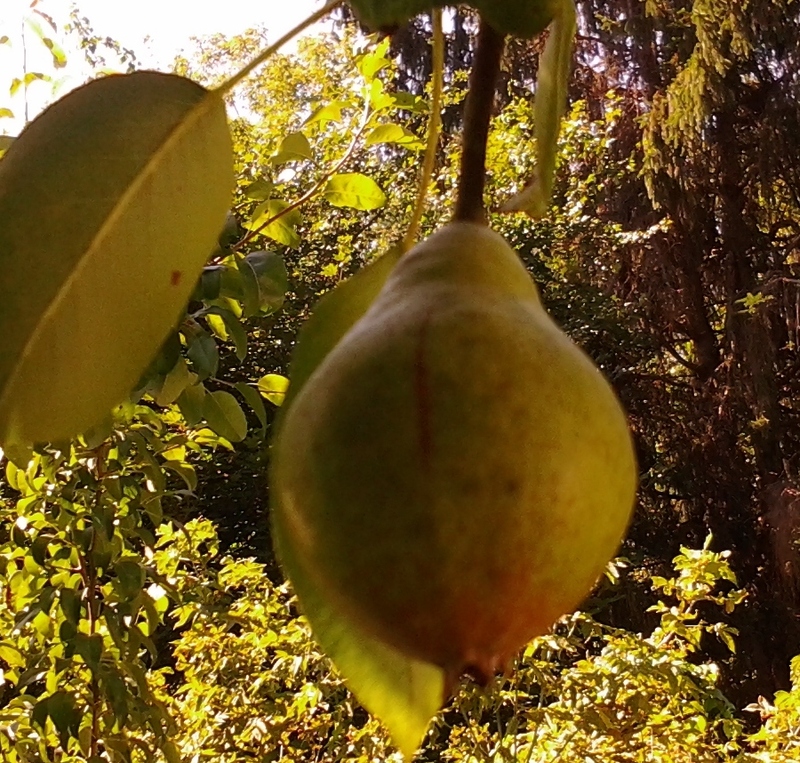 In the late summer many of my friends make jam and pickles to can and keep for the winter. While these are yummy and pretty to look at in the cupboard, is this really what you eat over the winter? Probably not. To effectively "put up" food for the winter you need to focus on what you eat. What you really eat and will cook. 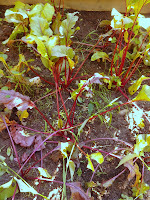 This means exploring ways to have salad greens over the winter. 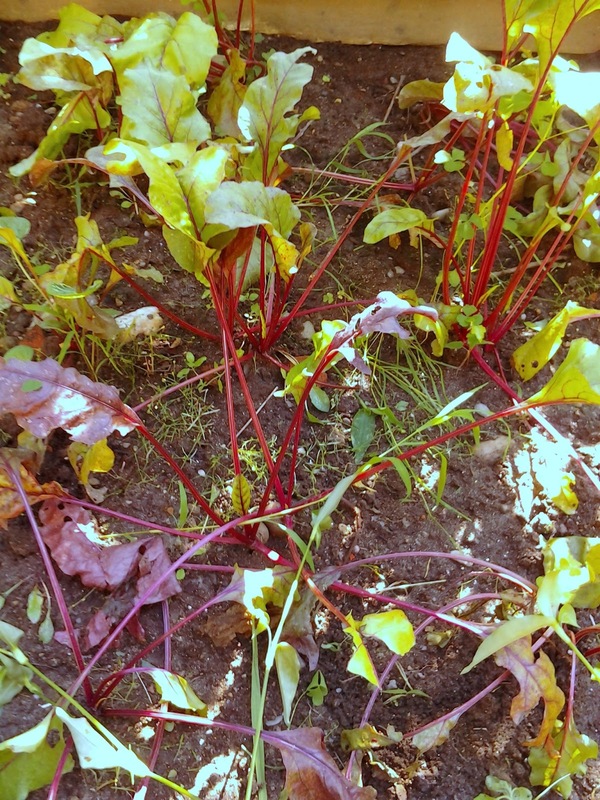 It means greens, beets, potatoes, squash, corn, onions, garlic, sauces, grains and fruit. Make a list of the foods you most commonly use through the winter. Then next step is figuring out what method to use to store for each type of food. 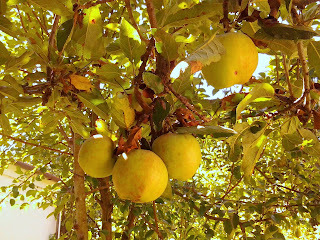 Next week I will talk about buying non-local food direct from farmers and start explaining the basics of canning foods. Meanwhile though, let's look at what preserving methods are best for particular types of foods. 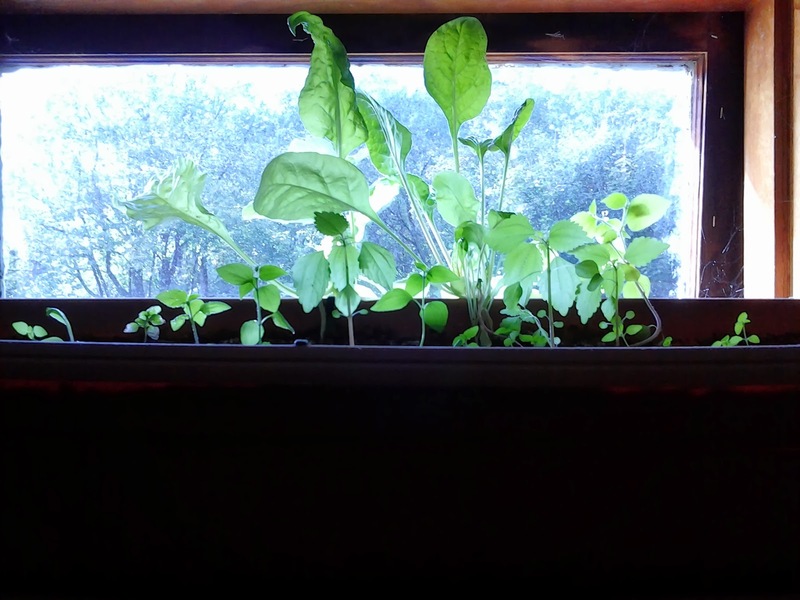 The best way to have healthy yummy greens all winter is to grow them indoors. This means thinking beyond lettuce. 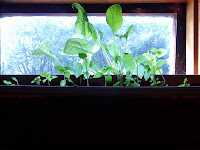 Baby spinach, arugula, radish greens and beet tops all grow well indoors in pots or window boxes. 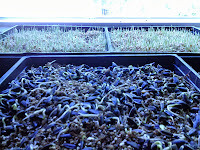 Growing micro-greens such as broccoli sprouts, kale sprouts, arugula is quick and easy too. All of these make a yummy salad base. 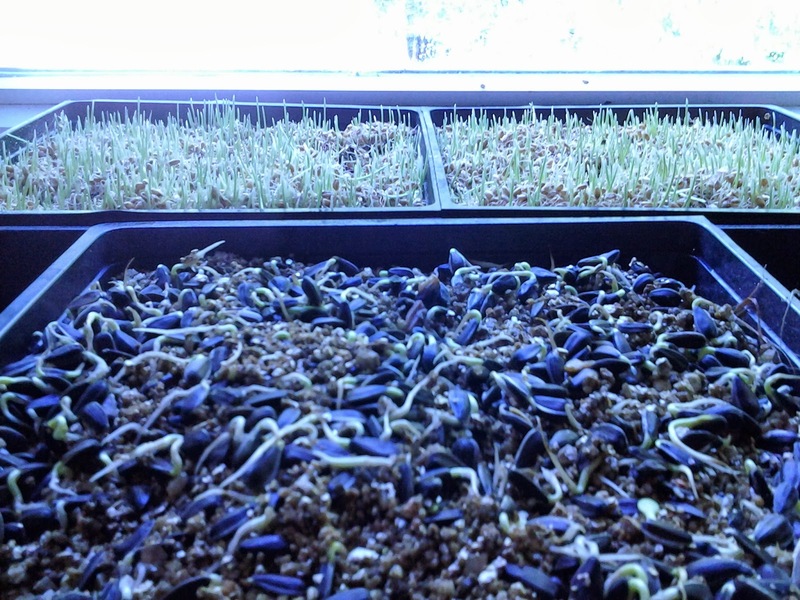 Sprouts such as clover, alfalfa, and mung beans also make a healthy easy to grow addition to your winter dinner plate. 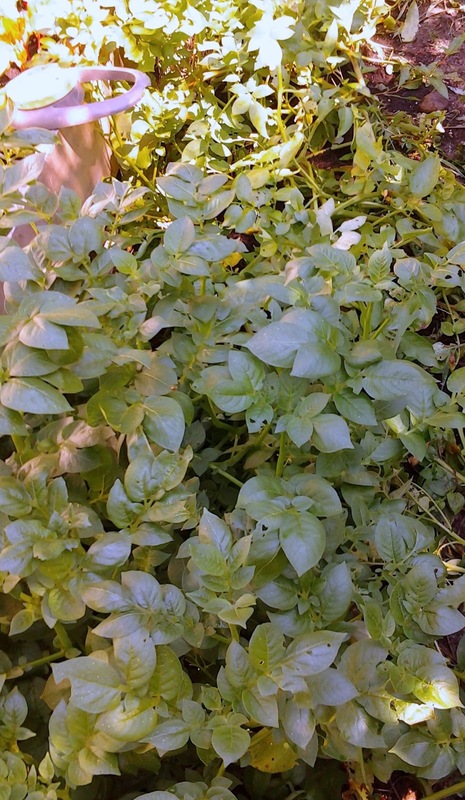 If you do grow lettuce indoors (which you certainly can) pick small varieties such as buttercrunch of small romaine. Often the seed packet will say "little" or "baby" lettuce variety. 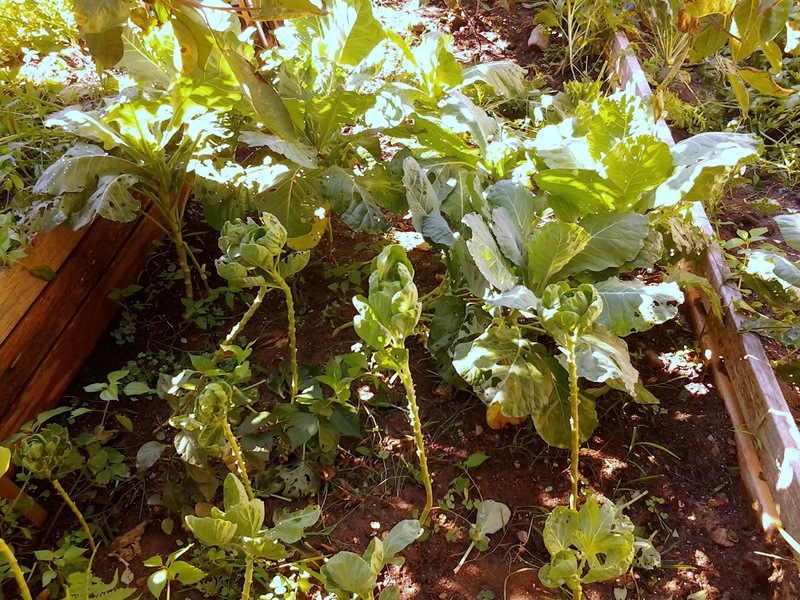 Plant a late fall crop of Kale and Collards right in your outside garden. 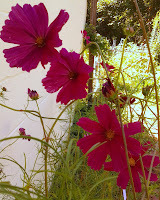 These plants are VERY cold tolerant. 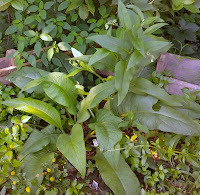 If you put some hay or mulch around the plants in late fall they will keep growing and stay alive even under the snow. All last winter I was able to go out and uncover my kale plants from the snow with a small shovel and have kale for dinner. I prefer freezer jam over canning. Freezer jam requires no cooking, is super quick and easy. 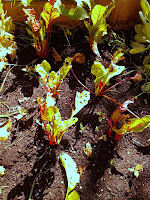 I can make small batches quickly with the fruit I harvest from my own garden, get at the farmers market or my CSA share. It doesn't require doing large batches all at once. I have the freezer space so for me it simplifies my jam making process. Whether you freeze or can jam, it is a great way to preserve summer berries and fruits for later. I recommend freezing berries. Again it allows me to put up small batches all summer one jar or bag at a time. Then I have them all winter for smoothies, breads and deserts. For most recipes they can be used frozen right from the freezer. Other things to freeze are chard, asparagus, shredded cabbage, peas, broccoli, cauliflower, zucchini, summer squash, cherry tomatoes, sweet and yummy peppers, hot peppers. 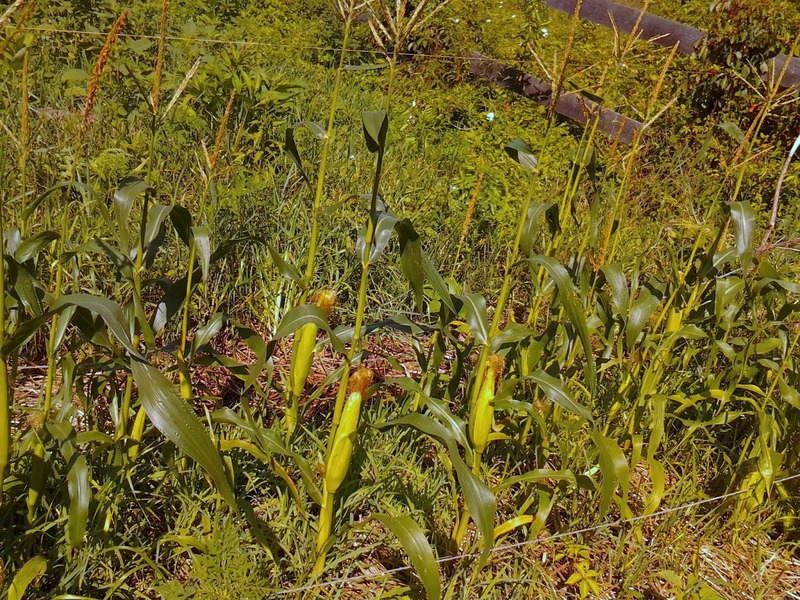 It is also good to freeze corn on the cob. To do this you need to shuck the corn, blanch it for 3 minutes and then freeze in a freezer safe jar or bag. You can also freeze whole grains for storage. At 0 degrees F fruits can store for 12 months. The storage time doubles if you vacuum seal them and then freeze. For peaches, plums and pears, can them in light sugar syrup. These make a super yummy mid-winter treat. This works great for mangoes too. Yes, I know mangoes don't grow in New England. 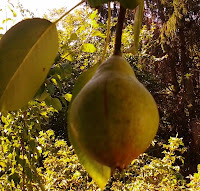 My next post will talk more about non-local foods. 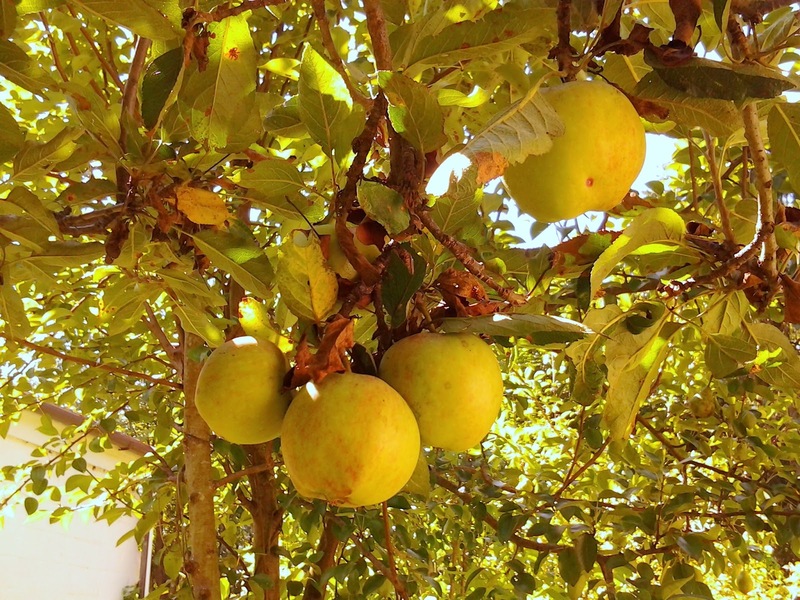 If you pick the right type of apples, they store great in the root cellar or cool basement. Wrap all the apples in newspaper (or paper from you recycling bin) and put them in a cardboard box with some air flow. You can also pack them in straw. Ideal storage temperature for apples is 32 degrees F with a medium level of humidity. In these conditions they last 4-6 months. Fuji, pink lady, goldrush, Virginia beauty and honey crisp apples all store well. 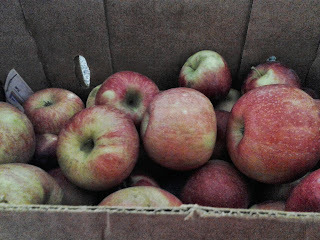 I generally store 2 bushels of Fuji and HoneyCrisp from Cold Springs Orchard in Belchertown. DO NOT store apples near other foods in the root cellar especially potatoes. I put my apples in the entry way between the root cellar and the basement. Apples give off gas that can cause potatoes to start sprouting. Other foods that work well stored in a moist root cellar are beets, carrots, cabbage, potatoes, turnips, parsnips and kohlrabi. You can store these in a drier root cellar if you package them in a way that retains moisture. 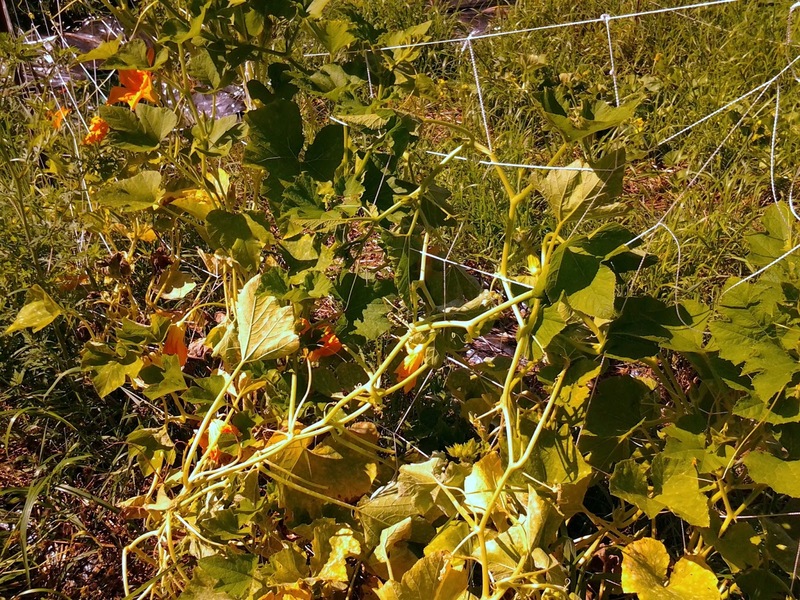 In a dry root cellar or basement onions, winter squash and pumpkins store well. In a few weeks I'll write a post about how to best prepare all these items for storage. Whole grains, rice and oats can be stored in a DRY root cellar or even just your pantry. Un-milled grains should be stored in a cool, dry place to avoid spoilage. I recommend glass jars with loose lids to allow air in. I keep mine in 2 gallon glass jars with screw top lids in the coldest part of my kitchen. long time. If you dehydrate tomatoes, let them continue drying in a paper bag for 2 weeks before packing them away. 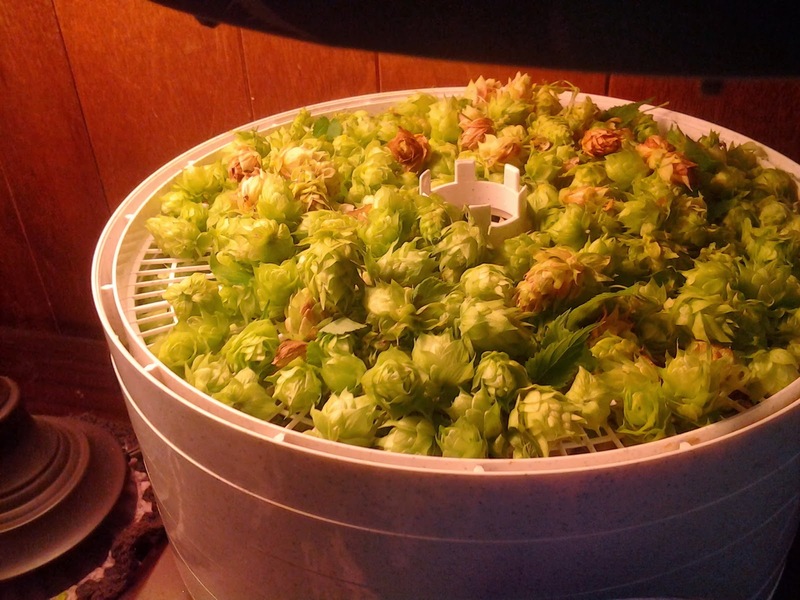 Dehydrating is also useful for making fruit leathers, drying herbs and flowers. Tomatoes should be picked when ripe and used within two days. 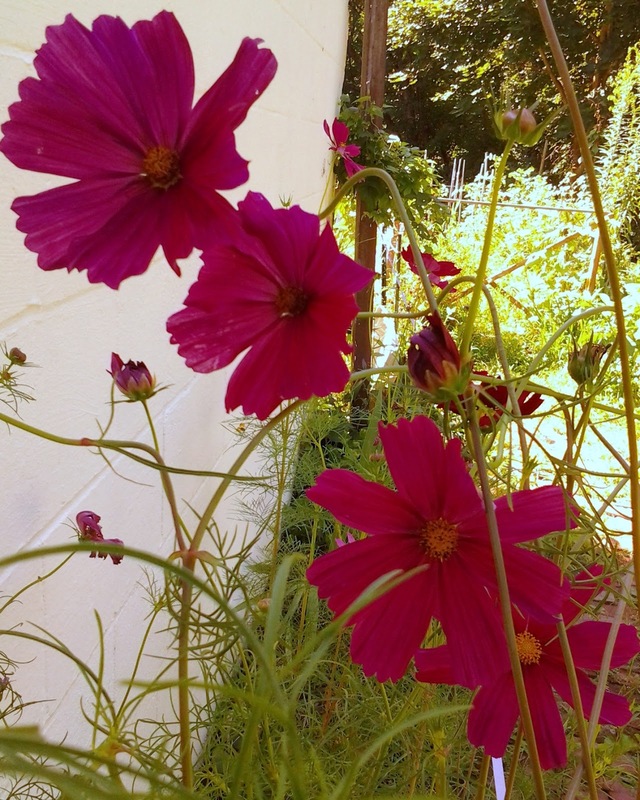 Store them at room temperature away from the sunlight with the stems facing down. Don't pile them on top of each other as they make each other mushy this way. Resist the urge to refrigerate tomatoes as this changes their texture and makes them mealy. Small cherry tomatoes can be frozen on a tray or cookie sheet and then put into jars or (gulp, please avoid plastic) plastic freezer bags and frozen. They can then be used later for soups, sauces or even a winter salsa. Large tomatoes can be frozen whole peeled or unpeeled. The tomato peel adds thickness to sauce or soups. The skins will slide off easily as they thaw so I don't bother blanching and peeling tomatoes. Just core them (remove the stems) and place on a tray and freeze. When they are solid toss them into a jar, seal and freeze. For sauces or stewed tomatoes you can just make your sauce, fill canning jars, let them cool completely and freeze. To stew tomatoes, wash, core, quarter and simmer in a heavy covered saucepan. Once they are soft cook them for an additional 20-30 minutes. Then put in jars, cool and freeze. 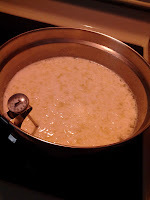 Sauces need to cook longer, usually 4-6 hours, and stir them every 20-30 minutes. You can also use a crock pot of the oven which makes burning the sauce less likely. Just use an oven proof container uncovered at 350 degrees and stir occasionally. Again just jar, cool and freeze. The USDA currently recommends that tomatoes are pressure canned. 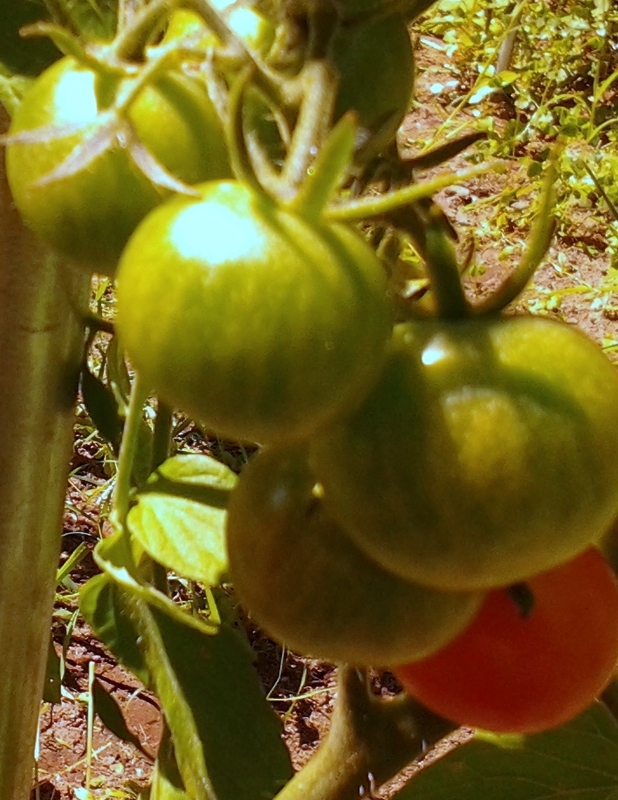 This is because the acidity of different varieties of tomatoes differs greatly. You can still use the water bath if you add extra acidity to your tomatoes. Add 2 tablespoons of lemon juice of 1/2 teaspoon citric acid per quart of whole, crushed or juices tomatoes. Get your jars ready, clean and put in hot water. Don't boil the lids. Get your canner pot filled with water, put the lids on and heat so its ready for use. Choose your tomatoes, wash, remove the stems and drain. 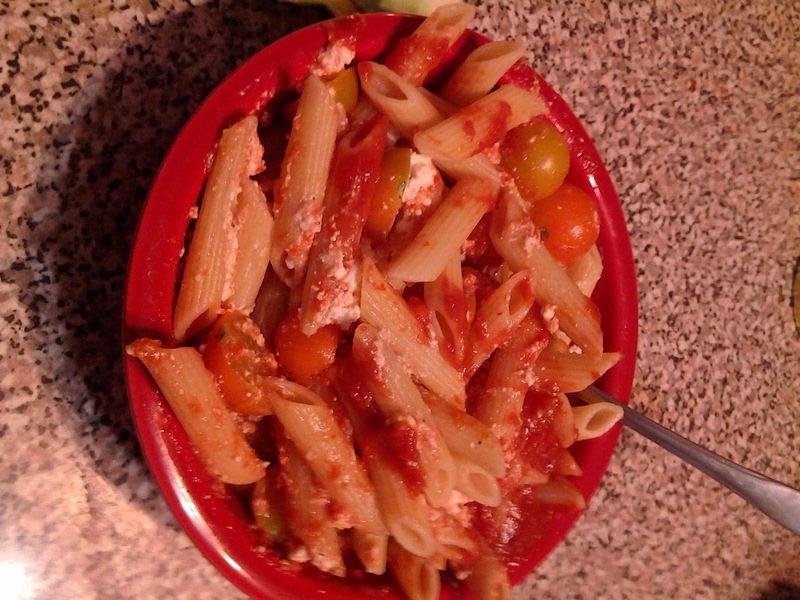 Put tomatoes in a sauce pot and cover with water. Boil gently for 5 minutes. Remove a canning jar from the hot water with a jar lifter. Add citric acid or lemon juice to the jar. Pack tomatoes into hot jars leaving 1/2" head space. Add 1 teaspoon salt per quart jar. Wipe the rim, remove lid from hot water, screw the band down evenly until just firm. WHhn processing is done take the jars out with a jar lifter and set them on a towel about 1" apart to cool for 12-24 hours. Check the lids when they are cool. Label and store in a cool dark dry place until needed. For tomato sauce, juice or stewed tomatoes add the citric acid or lemon juice to the hot jar, add hot sauce and follow directions as above. 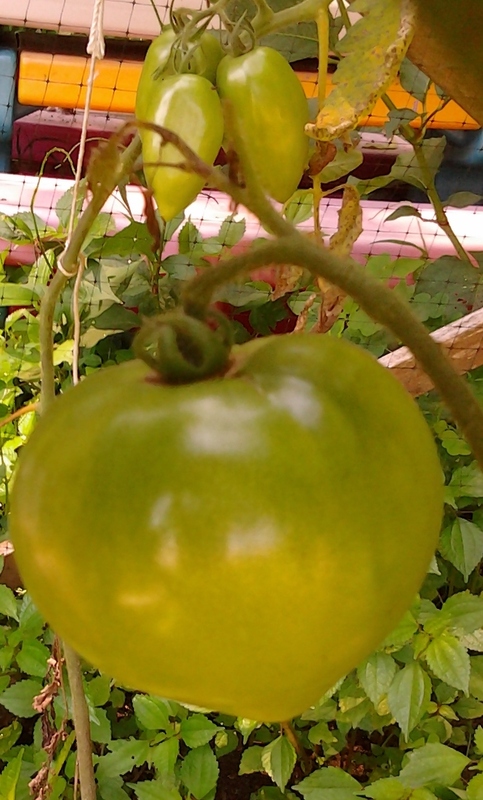 Tomatoes can also be sun dried, oven dried or put in the food dehydrator. Dried tomatoes make great snacks and can be vacuum sealed for winter. You don't need to skin tomatoes to dry them unless you want to powder them to use later for sauces or ketchup. Choose smallish tomatoes and slice or slice larger tomatoes into lengthwise pieces. 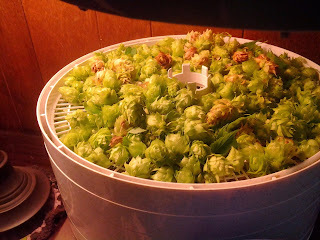 Sun drying take 1-2 days, the oven or dehydrator 6-8 hours. Post drying they should be put in a paper bag or open non aluminum container for 10-14 days to finish drying. Then they can be packed in clean glass jars and seal. I like to use glass canning jars and vacuum seal them with the food saver attachment for jars. Dried sealed tomatoes will last 6-9 months, twice that if you vacuum seal them. You can also freeze the dried tomatoes. 1. Chop peppers Place in large pot w/ just enough water to keep them from burning. While this simmers, cut tomatoes (remove stems). 2. Add tomatoes to pot & cook until tender. 3. put through strainer or food mill to remove any seeds, then put aside 2 cups for mixing with the flour later. 5. Cream butter and flour together and mix thoroughly with two cups of reserved juice (chill so it’s cold), blend together in a blender until there are no lumps. Add butter/flour mixture to warmed tomato juice. (Add before it’s too hot, to avoid lumps). Stir well. 6. Heat just until hot. Just prior to boiling, turn off the burner. It will continue to thicken as it cools.. When you are making cheese you separate the curds from the whey. Whey is the by-product of cheese making. If I make a 1 gallon (of milk) batch of cheese, I am left with approximately 5 cups of whey. Whey is great for pizza crusts and bread making. Whey can also be used as a flour conditioner in other baked goods recipes that use milk when you substitute the whey for milk. Whey is a good source of Thiamin, Vitamin B12, Pantothenic Acid, Magnesium, Potassium, Zinc and Selenium, and a very good source of Riboflavin, Calcium and Phosphorus. 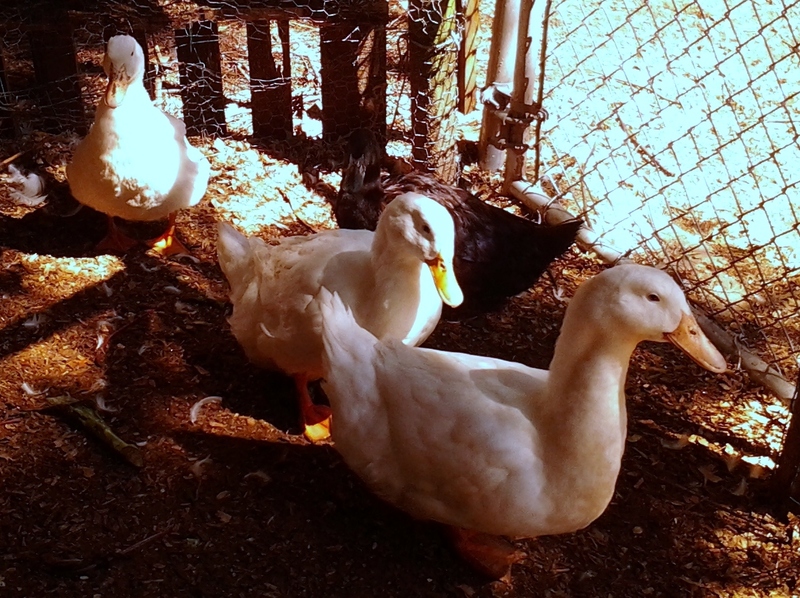 Many weeks I feed the whey from cheese making to the chickens and ducks. I pour it right into their water bowl while it is still a little warm. They love it! This week I decided to be more creative and find an yummy dinner item for all that whey. It is really easy too! minutes to an hour. Then toss it in a bowl and check out the texture. If it seems to dry you can slowly add a little whey back in until you get the right consistency. Add salt to taste. Once you have the cheese to salt balance right add minced garlic and dried basil and mix well. Then EAT! 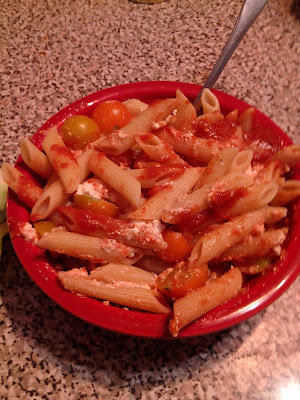 Dinner tonight became penne and fresh tomatoes from the garden with sauce and fresh ricotta. Yum!! After a month away at "Grad Camp" (Graduate School at Lesley University), I have returned to the garden. A month away with minimal care and many weeks of very warm weather didn't cause too much damage. 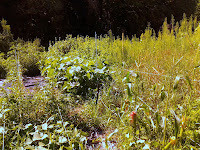 The squash, watermelon, edamame and corn are all thriving in one section. 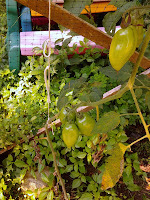 Tomatoes and peppers are thriving in the side garden and need to ripen. 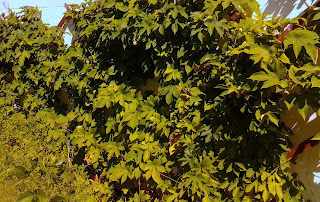 The Hops have taken over the garage. 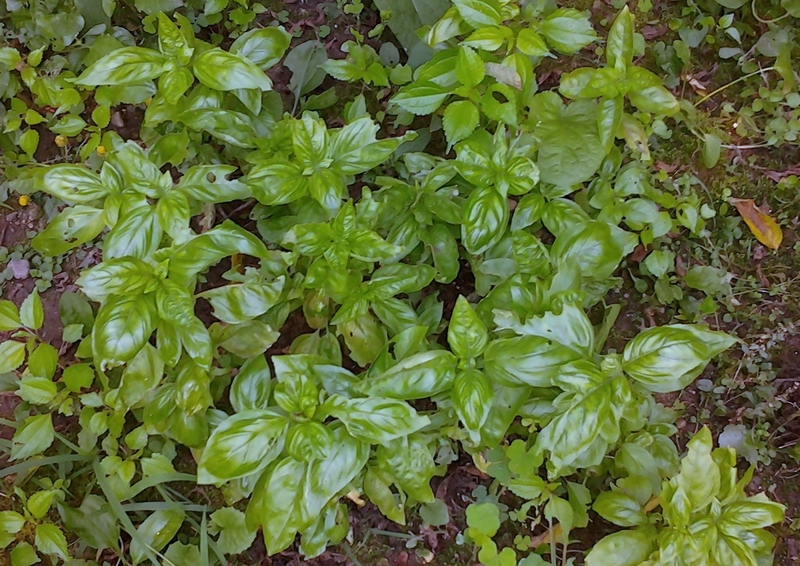 The herb garden has a nice crop of basil. rosemary, oregano, mint, spilanthes and comfrey. 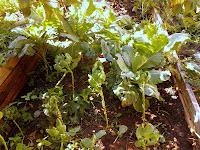 Out back, I have lettuce, stevia, swiss chard, garlic, cabbage, collards, brussel sprouts, carrots, beets and a long row of very happy potato plants. Here is the late July Photo update. This is the second season I have used Phenology, along with a combination of square foot gardening and biointensive gardening. 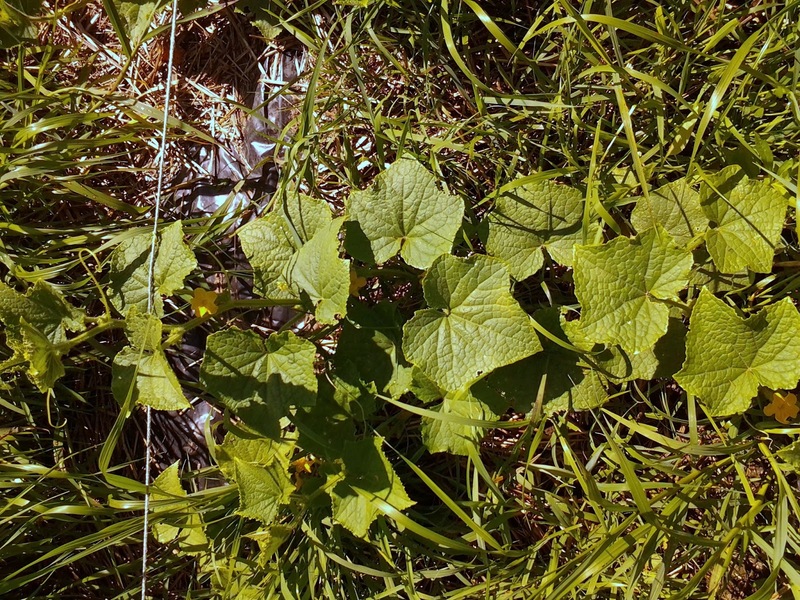 Phenology is the study of periodic plant and animal life cycle events and how these are influenced by seasonal and interannual variations in climate. 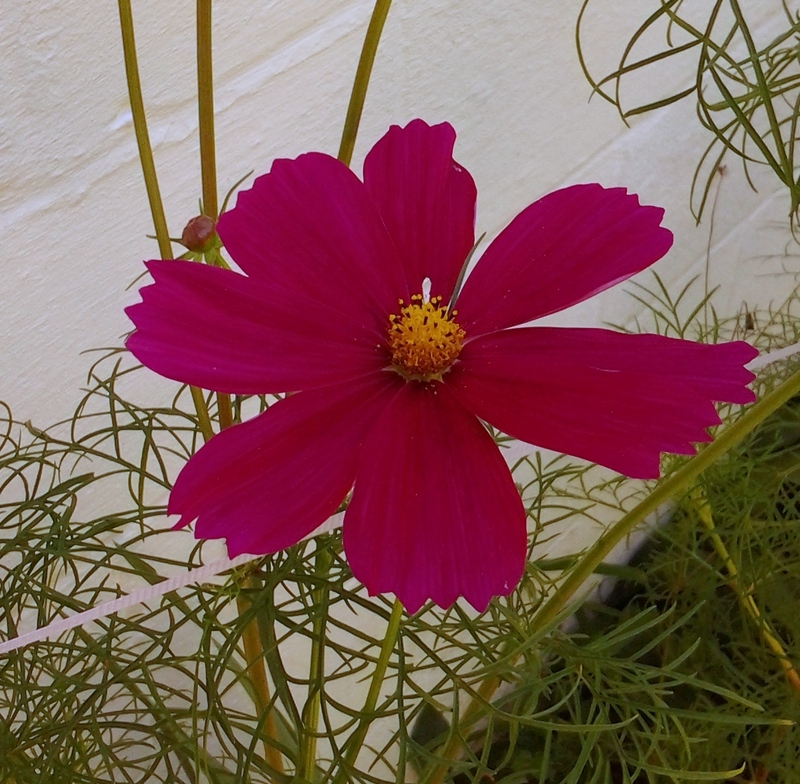 So when you use phenology you plant based on how the native species of plants and animals in your area are behaving. Last year, my harvest was larger and I was able to get 3 cycles of planting and harvesting in with most of my garden beds. As of May 13th, here in Amherst, we have reached the point in this list of phenological events were the Lily of the Valley are in bloom. This means I have already planted potatoes, beans, hops, kale, collards, brussel sprouts, lettuce, carrots, garlic, onions, broccoli, cauliflower and some hardy herbs. I planted my first large tomatoes yesterday (and they will sleep under buckets at night for a few days until the warm weather returns). Even though it is only May, we are already eating salads made with lettuce, onions, carrots, radishes and beet greens from our own garden. I have another 1200 square feet to start planting this coming weekend! 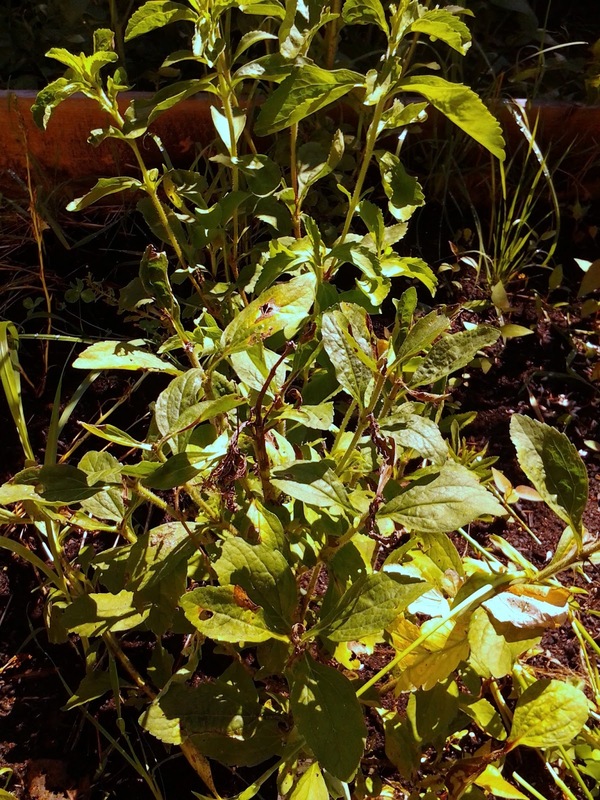 Plant potatoes when the first dandelion blooms. 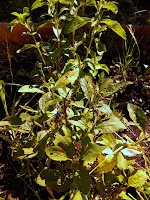 • Plant beets, carrots, cold crops, lettuce and spinach when lilac is in first leaf. 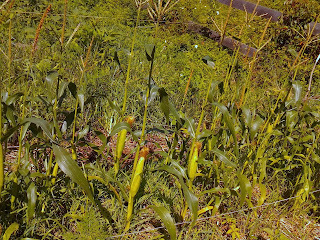 • Plant corn when oak leaves are the size of a squirrel’s ear. 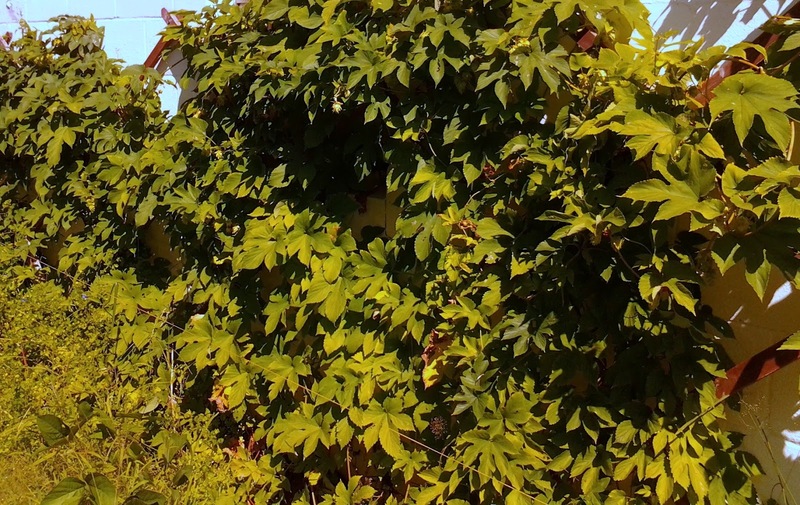 • Plant bean, cucumber, and squash seeds when lilac is in full bloom. 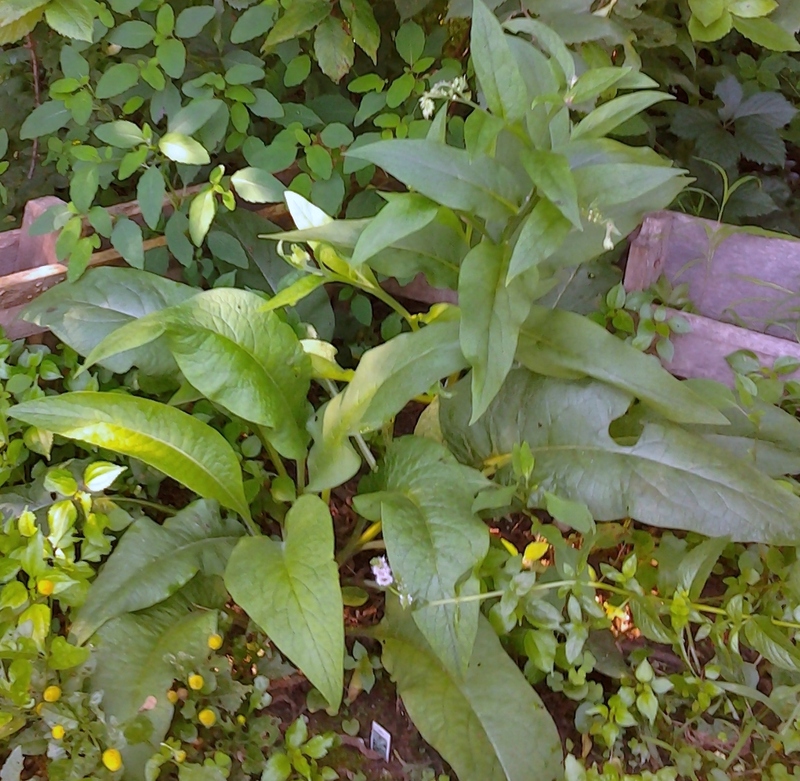 • Plant tomatoes when lily-of-the-valley plants are in full bloom. • Transplant eggplant, melons, and peppers when irises bloom. A blog about growing your own food, buying local food, shopping local and community.